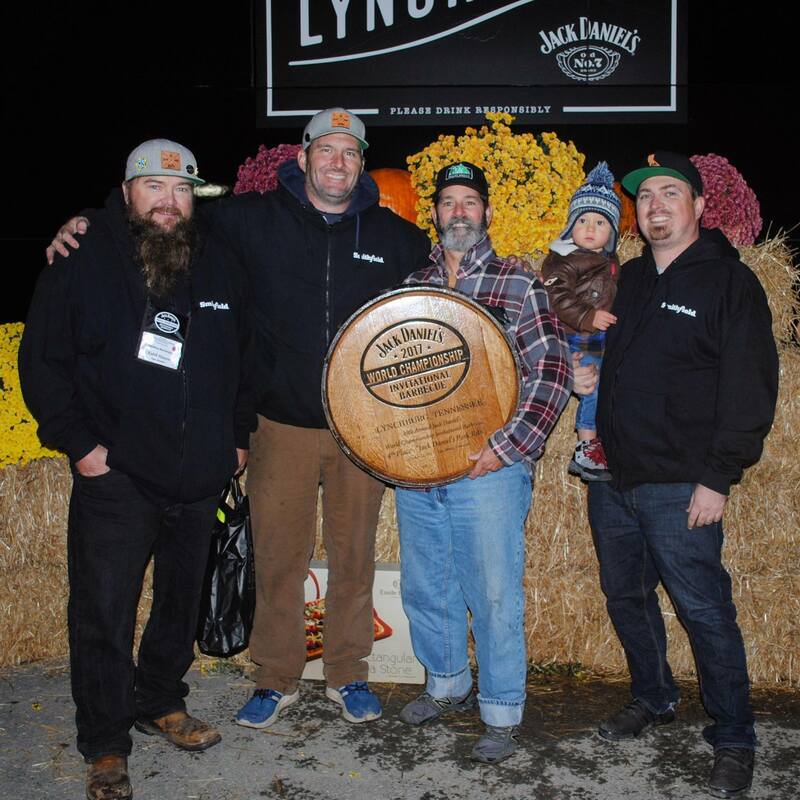 This year we will be skipping the competition side of things and joining Guy Fieri for the “Stagecoach Smokehouse Experience” where we will be cooking a 1000+ racks of competition worthy ribs for the festival attendies. Come by and try the Ribs that made us the 2017 California Rib Team of the Year! We have spent the last couple years hitting the BBQ circuit hard! and unfortunately this website suffered for all those nights cooking brisket. We have a lot of new adventures in store for 2018 but before we start giving details here’s a breakdown of our 2017 BBQ season. First thank you to everyone for your support. 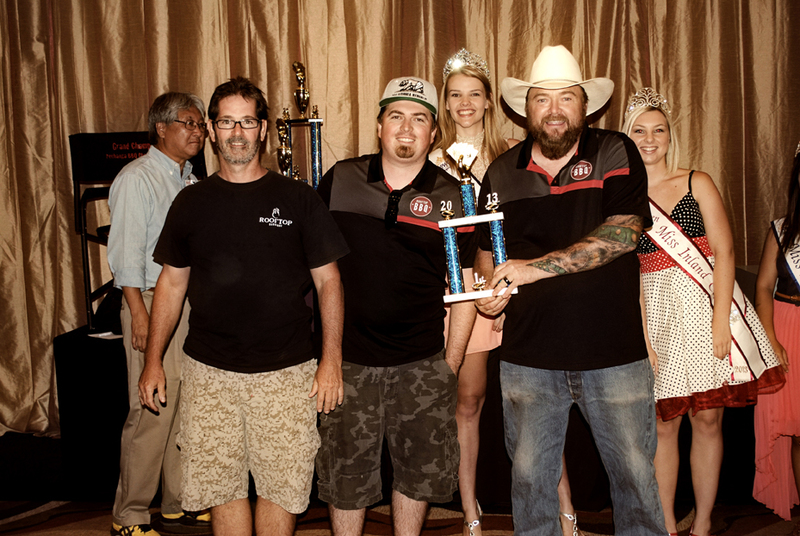 We were fortunate enough to take 2nd for Overall in California (it was a fun and tight race) and finished 1st in ribs and 1st in brisket in California. We also finished 38th in the Nation for Overall. We couldn’t do it with out the support of our Families, Friends and Sponsors. 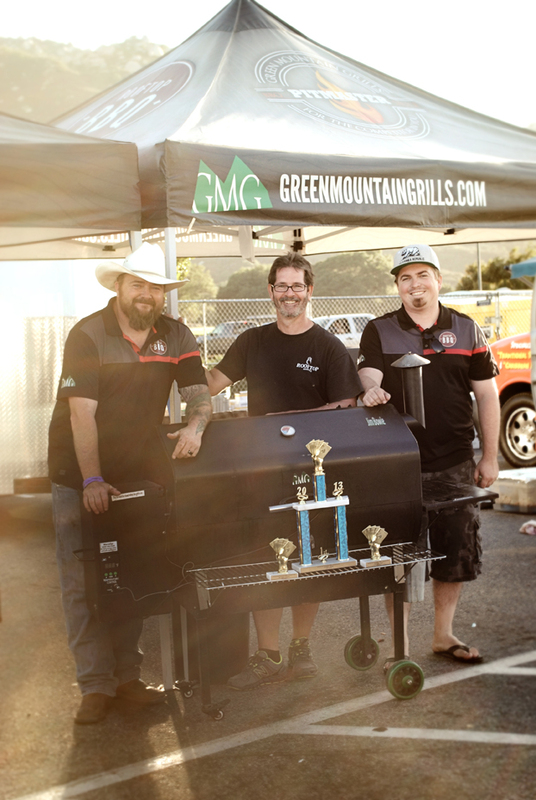 Thank you to Green Mountain Grills – Corporate for being right by our side year in and year out. 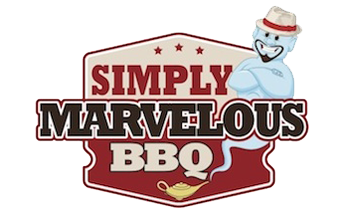 Big Poppa Smokers and Simply Marvelous BBQ#WCO for their support and being the flavors behind our BBQ. Smithfield#showusyoursmithfield for providing the best pork out there. Grizzly Coolers for helping keep the meat cold on all those long road trips. 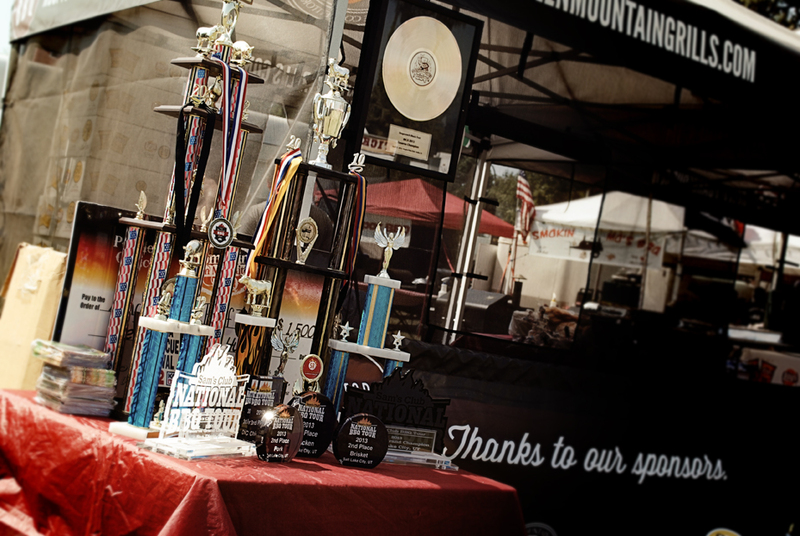 The dust has settled and the smoke has cleared from the Pechanga BBQ Championships. This was a great competition—20 minutes from home, nestled between the grand Pechanga Casino and the rolling hills. The weather was perfect, grounds beautiful. We loaded in Friday morning and spent the day relaxing and slowly setting up. Big meats went on at 12:30, just after midnight, and we settled in for the night. With 70 teams all having their smokers the air was full of the smell of brisket, pork and wood smoke. Our Green Mountain Grills held temp all night while we got some sleep. Saturday morning the 4 meats finished up and were turned in. During awards the room was tense and with 70 teams it was anyone’s game. We ended up with 1st in brisket, 8th in pork and 9th chicken. Finishing 8th overall. Congrats to Left Coast Q for their 5th for the bbq year. 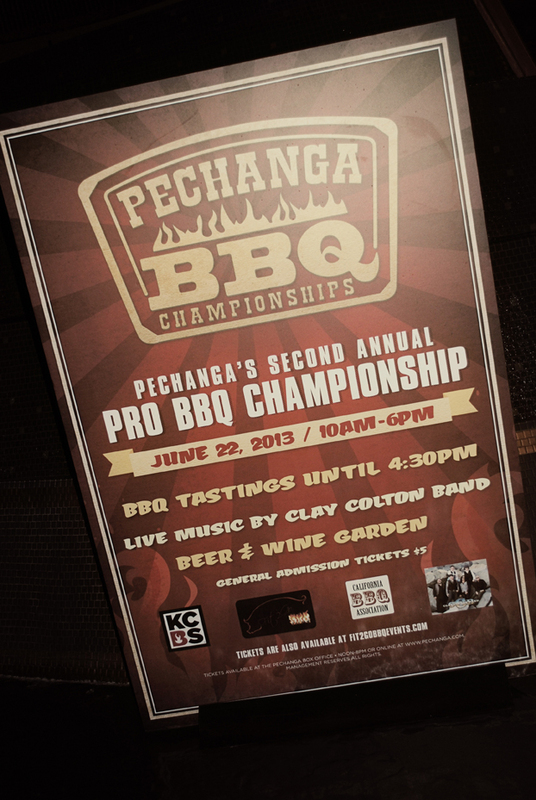 Come on out to Pechanga this Saturday for a taste of Rooftop BBQ! Family & Friends: It’ll be the most local our team will be getting this year! The official hours are from 10 am to 6 pm, but our team will only be selling a small selection of tastings from our chicken to ribs to brisket—and of course pulled pork—starting around 12:30. 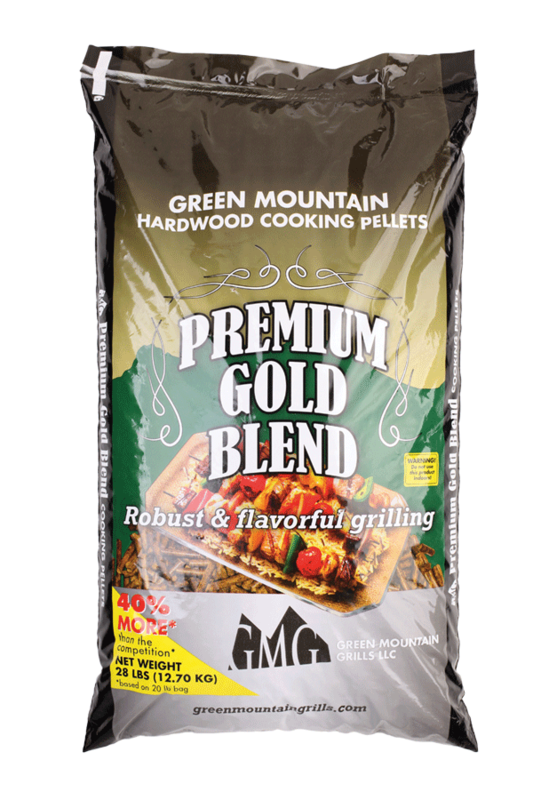 If your a BBQ teams that is cooking on a Green Mountain Grill, the next 14 teams to submit a 3-5 minute recipe video featuring their GMG will receive a coupon for 4 free bags of pellets. Videos are to be submitted to whiskeybentbbq@gmail.com & jasonb@greenmountaingrills.com. This is a great deal make sure to get yours in before its too late. Here’s are submission. The summer is upon us and with temperatures in Southern California getting up to 100 degrees. Its time for Rooftop Barbeques break for the year. Well be starting back up in Westminster Ca August 18t-19th at the Ribs, Pigs & Watermelons-Summer Festival & Pro BBQ Competition. During our hiatus I wanted to give you a look into who Rooftop Barbeque’s Sponsors are. This is the first of a series of Q&A sessions with the people behind some of the top BBQ products out there. First up is Jason from Green Mountain Grills. Rooftop: What is your role in Green Mountain Grills? Rooftop: Can you give some of the history of GMG, when and how did it get its start? Jason: I watched my father for years cook on a pellet grill. Everyone was always amazed by the taste of the food. My father is an innovator and always made comments about how this grill he was grilling on could be so much better. He was in the import export business and had a strong comfort level with manufacturing for decades as well. These two loves merged in 2007 when he decided to build his first prototype. Today, you continue to see this innovative spirit in all of our products. Rooftop: Can you explain how a pellet grill works? Jason: First, a motor turns an auger which feeds pellets into a firebox. Second, a hot rod automatically ignites the pellets, and a combustion fan keeps them burning. Third, a Fan inside the hopper maintains positive pressure which prevents burn-back in the auger tube. Rooftop: What are the differences between GMGs and the competitors? Jason: There are many on the technical side, including industry exclusive 150ºF-500ºF Temperature Range where you set your grill to any temperature in 5 degree increments with the touch of a button. We have the Low Pellet Alarm so if you are running low on pellets in the hopper, an alarm will sound until you refill the hopper. 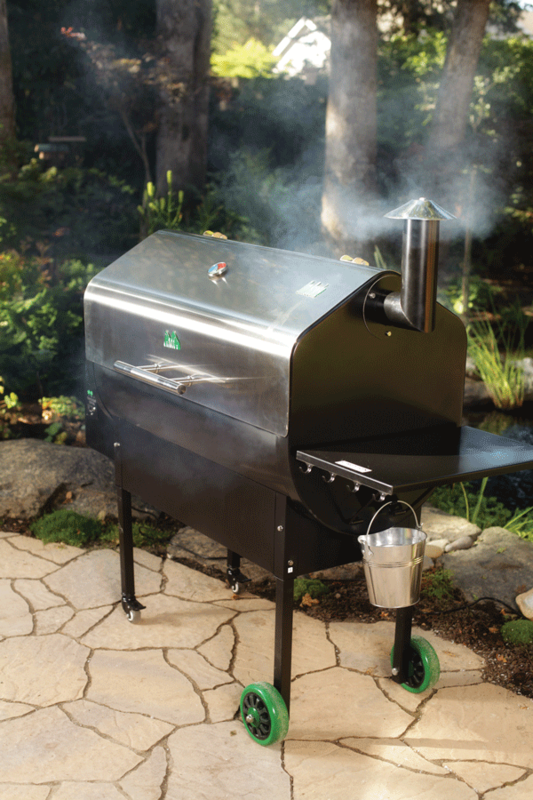 A 13.5” Grill To Lid Clearance peaked lid allows you to cook a big Thanksgiving turkey or a stand-up chicken. Our Pellet Hopper Fan feature is on board to prevent burn back in your auger and assist in maintaining the temperature you choose. One of my favorite features for cold climates is the Ambient Air Sensor which assists you in all Temperatures and wind will never be an issue either. 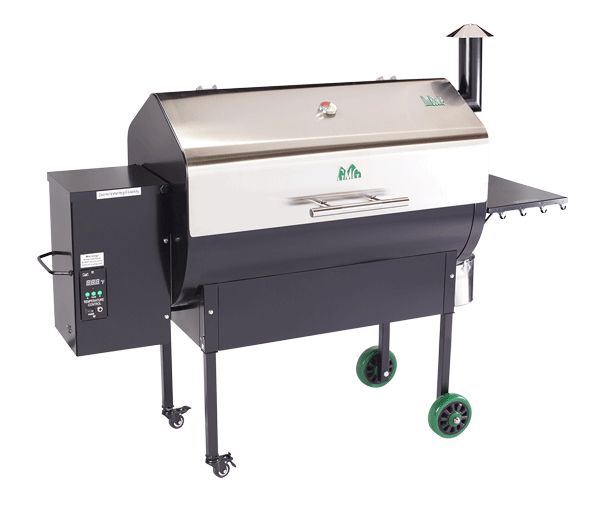 Furthermore, We include the Digital Thermostatic Controller, the Fan Only Feature, Caster Wheels, 19 lb Hopper, Large Diameter Rear Wheels, Dome Thermometer on the Jim Bowie, Stainless Steel Built in Meat Probe, Stainless Steel Cooking Grates, and a Stainless Steel Lid Handle on all of our grills as standard equipment. I would say that from a business model, we are entirely different. We want our local dealers to sell our products in their stores; period. We don’t want our products sold on the Internet and we don’t want to be in large box stores where help is difficult to find. We believe that this is a product that can’t just be handed to a consumer in a box. We want our local dealers to stand in front of our product and teach the customer about pellet grilling. That model has proven extremely successful for us and more importantly; our dealers. Rooftop: What do you see in GMG’s near future, what new things can we expect see? Jason: Green Mountain is continuing to innovate and I think the future of grilling is going to become more and more technologically advanced. Our focus on all of our products will be in this realm. We are constantly making sure we are listening to our customers and our dealers to continually improve our current products and indeed come out with new ones. We have a lot of revolutionary products in development and we are excited to bring them to market and start receiving feedback from our customers and our dealers. Rooftop: Where would you like to see GMG in the distant future? Jason: I believe the future of pellet grilling is very bright and I believe the future of Green Mountain Grills is tied to that belief. There are a whole heck of a lot folks out there who have no idea what a pellet grill even is and our goal is to continue to spread the word. If we all keep doing that, the future will be great for the pellet grilling market as a whole. 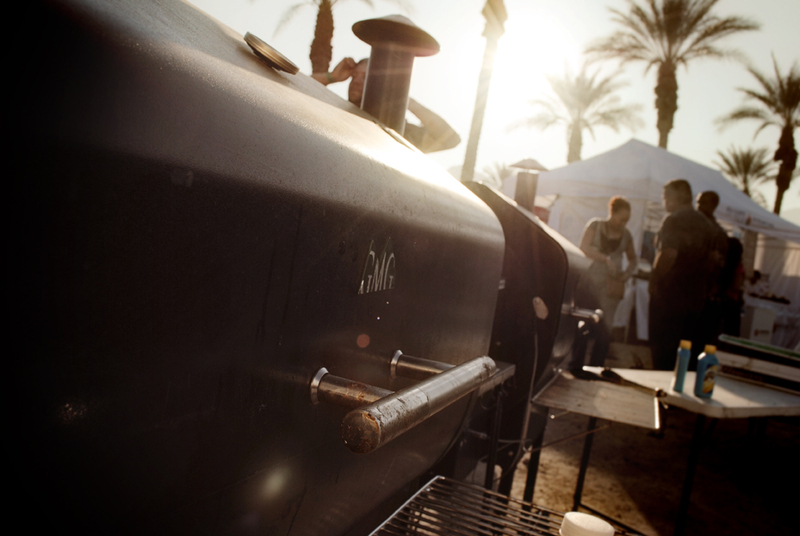 Rooftop: What’s your favorite thing to cook on the GMG, any favorite recipes? Jason: I cook everything on my GMG from steaks and chicken to ribs, brisket, and tri tip. I have to say that I love my tri tip. I have a bourbon marinade that I have developed and perfected over the years and it is my go to when I am looking to raise some eye brows. I wanted to give everyone an update on our BBQ sauce. We now have it in Tom’s Farm in Corona Ca, and have had a great response so far. We are in talks to have it in 3 stores in orange county along with a few online retailers, If you have a store you would like it to be carried in please contact us and let us know. We recently had Greg Rempe from the bbq central radio show review our sauce you can find and download the episode here along with all of his other programs. Every tuesday at 6pm PST he hosts his show live at http://www.outdoorcookingchannel.com make sure to check it. If you haven’t had a chance to try our sauce yet please go to our store and get your bottle or come see us at our next competition. Keep checking back new products are always in the works.